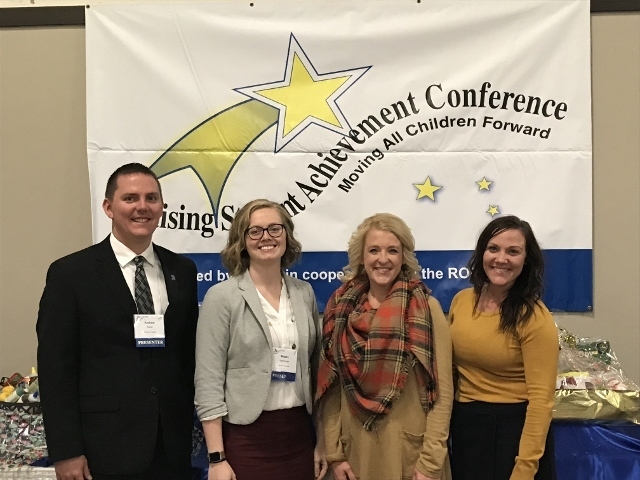 On Monday, December 4th, and Tuesday, December 5th, Olympia staff members presented three sessions at the Raising Student Achievement Conference in St. Charles, Illinois. Mrs. VanGorder and Mr. Walsh presented on the Olympia school district's transition to Skills Based Reporting and how to implement, evaluate, and communicate progress on Social Emotional Skills. Mrs. Uhlman and Mrs. Castleman presented on how to raise student achievement through a new teacher mentoring program. Teachers and administrators from around the state attended all three sessions and were very complimentary on the work that the Olympia School District has undertaken over the last several years.